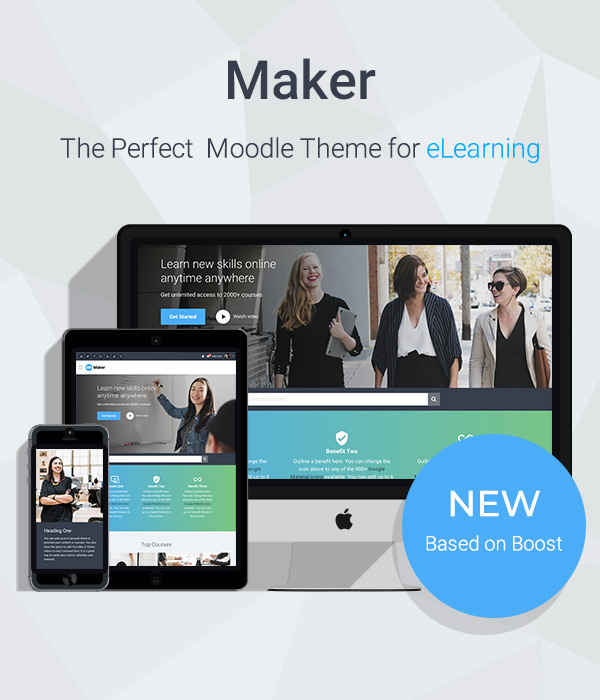 Moodle’s core theme Boost is built on the latest Bootstrap 4 framework. If you are using Boost or a Boost-based theme (eg. 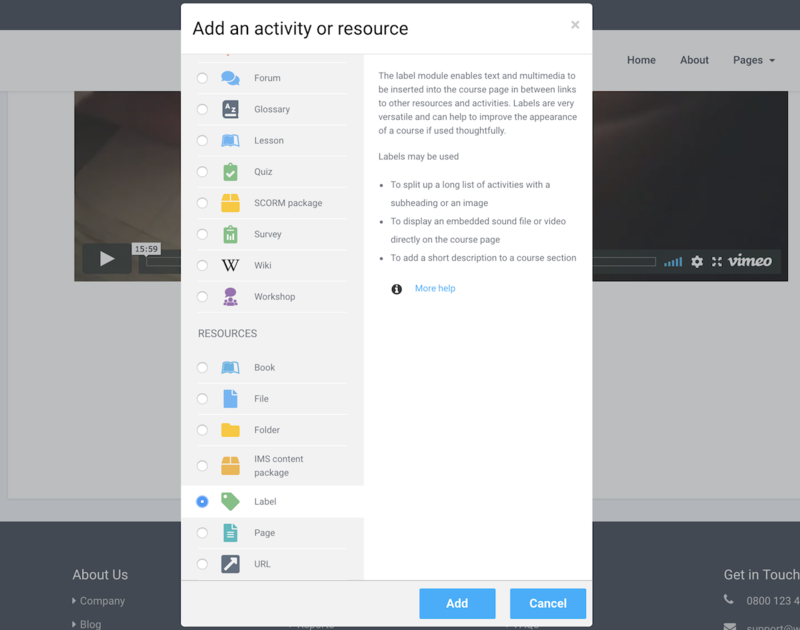 Moove, Fordson) you can take advantage of the Bootstrap 4 “embed” utility to add responsive Youtube/Vimeo videos in your Moodle course. 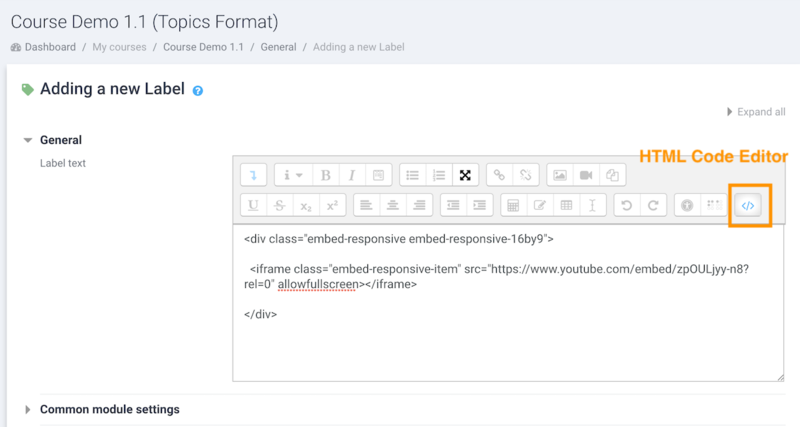 Tip: You can change the video aspect ratio by replacing embed-responsive-16by9 with other modifier classes. You can find the list of classes on the Bootstrap 4 official docs here. Log into your desired Moodle course as a teacher or admin. Turn editing on and add a “Label” using the “+ Add an activity or resource” link. Copy and paste your prepared video code snippet from Step 2 into Label’s HTML code editor (as shown in the figure below). 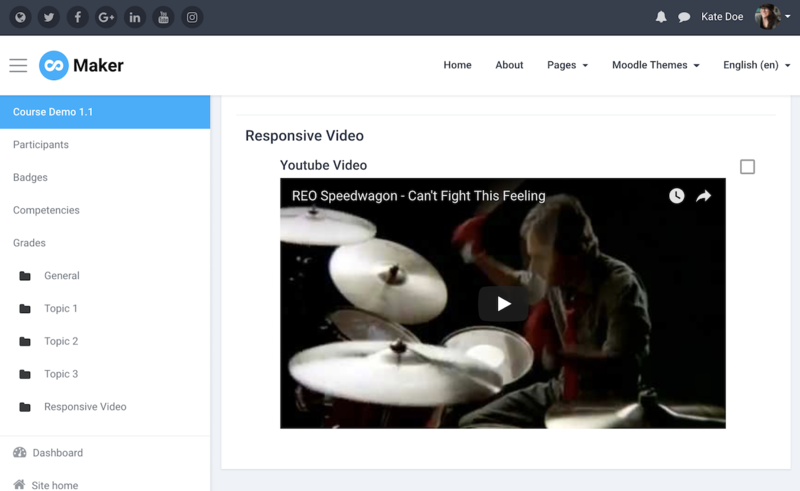 Save your changes and you’ve successfully added a responsive video to your Moodle course.